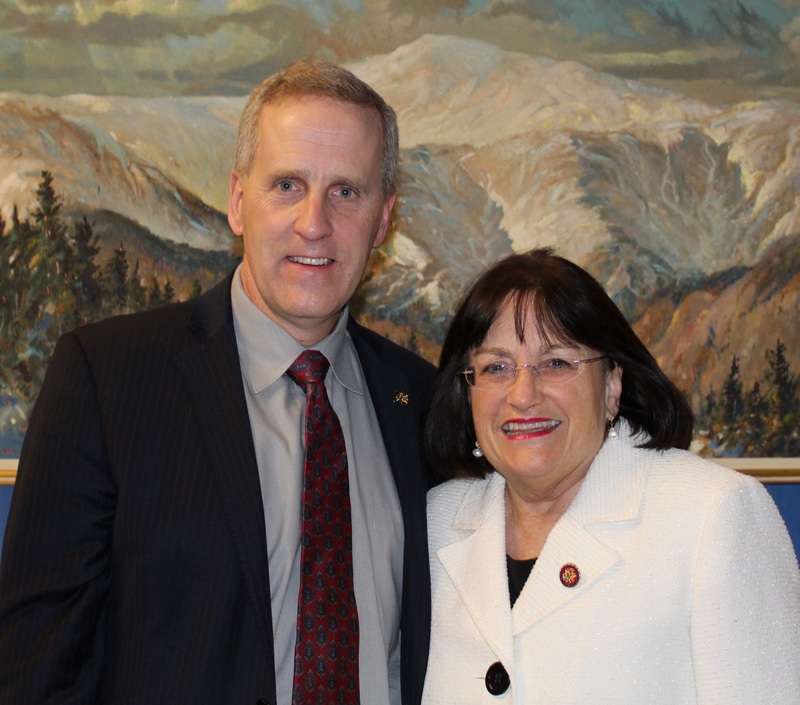 On Tuesday evening, I attended President Trump’s second State of the Union Address with my guest Jeff Aulbach, a New Hampshire Air Traffic Controller from Brookline. Like hundreds of thousands of other federal employees, Jeff worked without pay during the 35-day government shutdown. As February 15--the expiration date of the recent government funding agreement--approaches, I urge President Trump and Congressional leadership to focus on keeping the government open. Important discussions about how we can most effectively keep our nation safe should not be rushed under the threat of a shutdown. 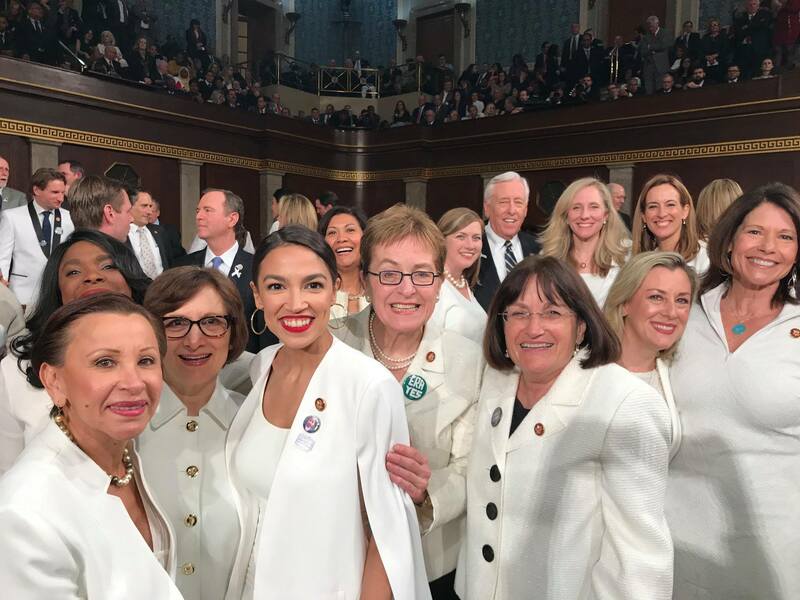 It was wonderful to join my colleagues in the Democratic Women’s Working Group in wearing white to the State of the Union to honor suffragettes and let the American people know we’re fighting for equal pay, reproductive rights, and economic opportunities for women. At one point during the evening, I “raised the roof” to celebrate the record number of women in Congress. But while I was excited over the gains women have made in our federal government, I was disappointed by the President’s speech. President Trump called for cooperation between Democrats and Republicans, but his actions have consistently been at odds with that goal. We can work together, Democrats and Republicans, to make real progress on important issues for the American people, but we can do this with the help of President Trump or despite him. I joined Representatives Don Beyer and Joe Courtney to introduce the Protecting Americans with Pre-existing Conditions Act on Wednesday. The Trump Administration has done its very best to undermine the Affordable Care Act and access to quality healthcare for millions of Americans. This legislation would prevent the promotion of junk health plans and overturn a Trump Administration guidance, which weakened protections for individuals with pre-existing conditions. Our bill would help ensure that those protections do not fall victim to future partisan attacks. 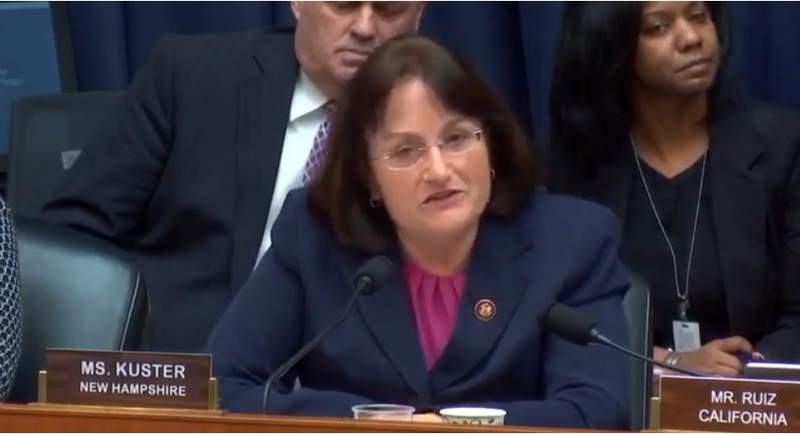 On Thursday, I took part in a House Energy and Commerce Subcommittee on Oversight and Investigations hearing to question expert witnesses and express my outrage about the Trump Administration’s policy of family separation that led to 2,500 children being forcibly separated from their mothers and fathers. When I visited the McAllen Border Patrol Station, the McAllen Centralized Process Center, and the Port of Isabel ICE Detention Center last year, I saw firsthand the fear and heartbreak caused by this immoral policy. It’s unfathomable that the Department of Homeland Security and the Department of Health and Human Services lacked a centralized system to track these children and their families. With this hearing, our committee took an important step toward getting to the bottom of this injustice, and we will continue to work to hold those responsible for this policy accountable. Questioning experts on the policy of family separation. Watch here. I applaud the passage of H.R. 840, the Veterans’ Access to Child Care Act, which will give all veterans seeking mental health treatment with the VA safe, reliable and free child care. After everything veterans have done for our country, they should never be prevented from treating their PTSD, depression, or any other psychological wounds because they can’t find a safe place for their child. I’m pleased my provision was included in this bill because it would help veterans get the child care assistance that best suits their needs. Veterans’ suicide and mental health is a top priority, and my provision would make sure challenges surrounding access to child care services does not hinder a veteran’s ability to make crucial appointments. 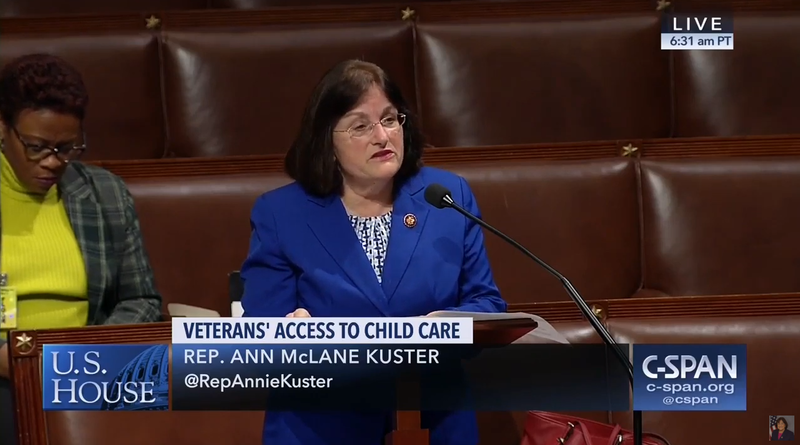 Speaking about my provision in the Veterans Child Care bill. Watch here. On Thursday, I signed on as a cosponsor to Senator Jeanne Shaheen and Congresswoman Nita Lowey’s Global Health, Empowerment and Rights Act. This legislation would repeal the Global Gag Rule, a dangerous policy reinstated by President Trump in January 2017 that puts the health and lives of poor women and families around the world at risk. It would also help ensure vulnerable people have access to the healthcare they need. I’m proud to cosponsor this important bill, and I remain committed to protecting a woman’s right to make her own healthcare decisions. I teamed up with Senators Edward Markey (D-Mass), Elizabeth Warren (D-Mass), Jeanne Shaheen (D-NH), and Maggie Hassan (D-NH), and Congresswoman Lori Trahan (MA-03) on Tuesday to introduce legislation to designate portions of the Nashua, Squannacook, and Nissitissit Rivers in Massachusetts and New Hampshire as scenic rivers under the National Wild and Scenic Rivers System. In New Hampshire, we value our incredible landscapes and picturesque rivers and lakes, and this is an important step toward safeguarding the Nashua River and its tributaries so future generations can enjoy these beautiful resources. As always, please don’t hesitate to reach out to any of my offices with questions, concerns or ideas you may have--I love hearing from you! Thank you for all you do to make New Hampshire such a wonderful place to call home. I hope you enjoy your weekend!